Proud of what my National team has accomplished! 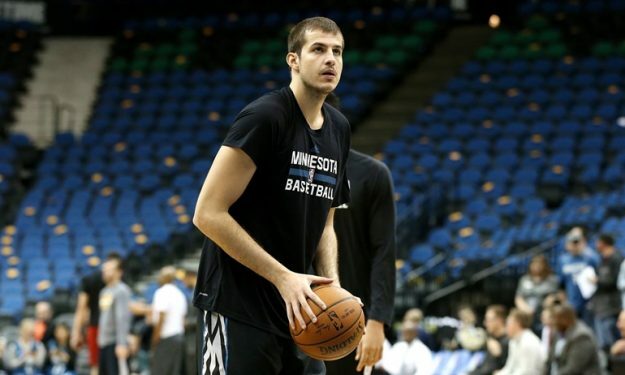 Nemanja Bjelica is a player of the Minnesota Timberwolves in the NBA after emerging as a Euroleague MVP in Europe. A star in his native Serbia and also in Turkey as a former member of Fenerbahce, the versatile forward reveals via Eurohoops one more talent: His writing skills. Representing our national team is one of the best experience in an athlete’s career. Not being able to join the team in Rio was really painful, but I was injured…Still I am really proud of what the team accomplished. I hope i will be able to play in the next big FIBA tournament, which is the upcoming Eurobasket 2017. Those are always tough competitions, where everything can happen. After all we have accomplished in the last tournaments, we are one of the favourites, but we need to be focused from the beginning and face every game as it was the final. This is my second season in the NBA and I’m feeling way more adapted to the game than last year. I’ve been working on my body, to get ready for this season. My main goal is to consolidate my role on the team, understand what coach Thibodeau wants from me, and give my 100% every night. I would say consistency will be the key. Tom Thibodeau is an experienced coach, he has great reputation, high knowledge of basketball and he is passionate about his job. I really respect people who have the same love for basketball as I do. And that of course includes Ricky Rubio. Playing with Ricky makes my game easier. We both come from European Basketball where fundamentals like sharing the ball and playing smart are the key to win. We understand each other on the court and we are good friends off the court. He definitely helped me to adapt to the league. I get along with all my teammates. However, players from overseas we always get along, we have friends or former teammates in common and it’s normal to spend more time with them. I try to watch EuroLeague as much as I can. The new format is different, but it’s fair that you have to play against every single team so at the end the best 8 teams will go to the playoffs. At the end it all comes to the same: winning. It’s difficult to say by Round 9 who are the favorites, there are still a lot of games left, but it will be nice to see Red Star and Fenerbahce in the Final Four!